Need A New Domain Name? Free .co.uk domains are provided, but others will be subject to an annual charge according to type. If your preferred domain name is not available we will suggest alternatives. 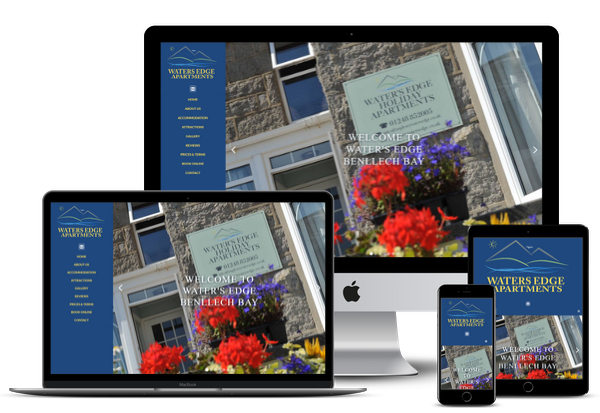 Number of Rooms, Holiday Cottages, Pitches, Caravans etc..
Get a high quality, custom designed logo for your website, including social media and print stationary. We provide all the file formats necessary for digital and print purposes. What text do you want to include in the logo? You Are Already Registered! Please Use Our 'Client Login' Option. A) THE PROVIDER agrees to provide systems and services to THE CLIENT for the duration of THE AGREEMENT. B) THE PROVIDER will maintain all systems and services provided to the best of their ability during the period of THE AGREEMENT. THE CLIENT will be notified of any changes to or within the structure of THE PROVIDER and associated systems/partners that might directly affect the service provided to THE CLIENT during the period of THE AGREEMENT. i. to adhere to an Initial 12 Month Contract which will then continue on a rolling monthly basis. ii. that all services are provided by THE PROVIDER to THE CLIENT 'as seen/provided' and THE PROVIDER cannot be held liable for any losses or damages incurred by THE CLIENT during or after the terms of THE AGREEMENT for any reason be it a direct or indirect result of using THE PROVIDER and/or associated services. iii. that 'THE PROVIDER' includes and embraces all associated or partner companies/entities and/or services & service providers used by THE PROVIDER (within the duration) (during the tenure) of THE AGREEMENT. iv. that 'THE PROVIDER' also includes and embraces all associated or third party computer systems/computer software/operating systems/servers and any other subsequently developed or third party systems used by THE PROVIDER. v. that THE PROVIDER cannot be held liable for any external intervention, such as phishing/hacking/hijacking or any other misdemeanor that should occur through, or as a result of the provision of part/or any of the systems or services provided. Additional work requested by THE CLIENT which is not specified in the agreed contract is subject to an additional quotation by THE PROVIDER on receipt of specification. If the work is needed as part of an existing project, then this may the effect timescale and overall delivery time of the project. THE CLIENT agrees to provide all information and content required by Booking Boosters Ltd in good time to enable THE PROVIDER to complete a design, channel connections or website as part of an agreed project. A web site or channel management system can be removed on the written request of THE CLIENT. THE PROVIDER reserves the right to suspend or terminate all or part of the service provided to THE CLIENT with immediate effect, where  the expiry date has passed, or  there has been a breach by THE CLIENT of these terms and conditions or failure to pay outstanding charges. WEBSITE Should the CLIENT terminate the contract after 12 months and wish to keep the website THE PROVIDER will offer fully maintained hosting at a set monthly fee. When THE PROVIDER is acting as agent for the client, THE CLIENT will be invoiced for the domain renewal. Should the client fail to pay by the due date, the site and files may be suspended or deleted and Booking Boosters Ltd cannot be held responsible for the loss. We can't recommend Booking Boosters highly enough. Our customers have seen significant increases in their bookings after implementing the online booking calendar and websites. If you want to deal with just one company for all your online marketing make it Booking Boosters. Once again, thanks for the teams work on this site. We have a site we can be proud of which will hopefully attract direct bookings. delighted with my new website and booking system. The feedback we've had from people who have visited our new site and used the booking system has been excellent. Thank you again. Thank you so much for all you have done, the online booking calendar is very simple to use and our new website is bringing us regular bookings. Our goal is simple, we aim to help boost your online bookings. 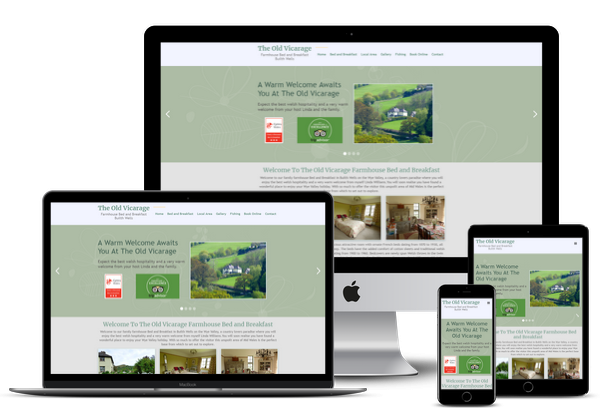 Our team of online marketing professionals, web designers and programmers have over 15 years’ experience working with accommodation providers. Booking Boosters has brought all those skills and tools together to make sure you succeed online. Want To Take A Closer Look? Contact us now! © 2018 BOOKING BOOSTERS LTD is a company registered in England and Wales with company number 10726482. All Rights Reserved.